Fitness armbands and various other activity trackers are nice accessories for active people. These may not be entirely accurate (overestimating calorie burn by %23 as the research shows), but they are a bit more accurate than those cardio machines. They also help you track calory intake and sleep, which is important when trying to achieve different fitness goals besides weight loss. Now there is a new type of fitness band in the works and it uses electroshock to motivate you to workout. Pavlok is the only device that models lasting change in the brain through it’s proprietary positive/negative reinforcement system. Pavlok doesn’t just track what you do, it -changes- what you do. So if you fail to meet your goal/pledge such as going to the gym Pavlok sends a small electric shock to your wrist. It may also employ penalties like fines (from 30 cents to 10 bucks) and public shaming via Facebook when you don’t meet your goals. 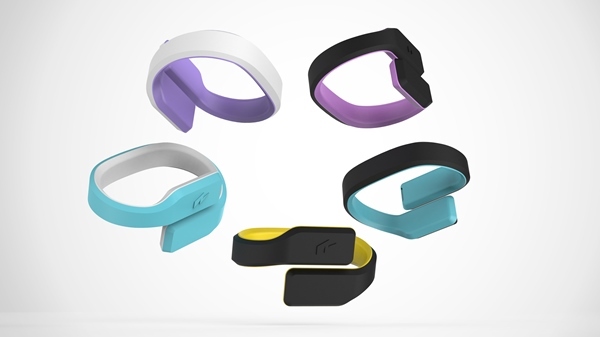 The tracker is said to be not a fitness band in its conventional sense but a habit creating device that helps you change your behavior for the better. You also don’t need to wear it all the time, only when you are trying to create a new habit. By changing one of the above in your life it can positively affect your whole life Sethi believes. The crowdfunding campaign for the product launch is planned for September. What do you think? Would you wear this wristband to motivate yourself to workout? This entry was posted in News and tagged fitness gadgets, motivation. Bookmark the permalink.